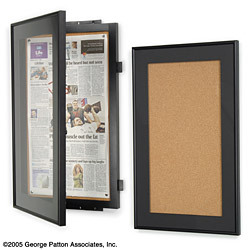 This Cork Board Gives You an Effortless Newspaper Display! 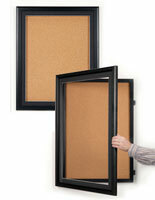 This Cork Board Has a Tamper-Resistant Frame in Basic Black! The cork board for newspapers is engineered for a 12"w x 22-1/2"h newspaper, but is also outstanding known as a decorative message board. 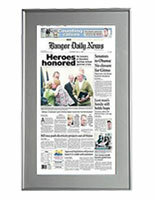 Dissimilar to other cork boards, this newspaper cork board has an ideal appearance.ng aluminum frame with a rugged satin black anodized finish. 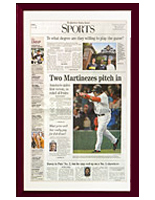 The black matboard covers the edges of the newspaper or posting offering a sleek finished appearance. 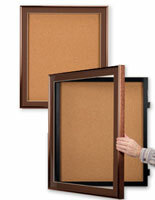 Other cork boards for newspapers for example enclosed corkboards, and message boards generally extend farther from the wall and do not have the professional framed appearance the matboard furnishes. 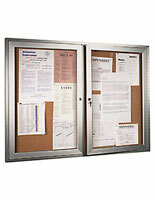 This cork board for newspapers furnishes an easy method to exhibit most full size newspapers. 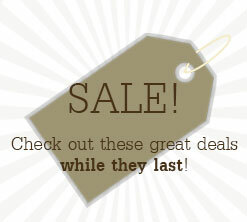 Display the daily comics for some humor or the cover of the sports sector for die-hard fans. 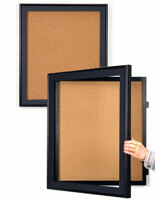 This cork board for newspapers incorporates concealed hinges and gravity latching system. This permits fast and easy entrance to the cork backboard for effortless alters from a frame that does not appearance.like it opens. 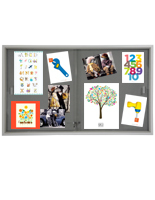 This newspaper cork board includes mounting hardware and a Z-bar for wall mounting. concealed angle brackets on top and bottom supply a more secure mounting preference if needed. 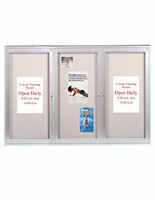 For proper operation of the frame a minimum area of 7/8" is needed on the left and right side of the frame. Hinges come standard on the left side.